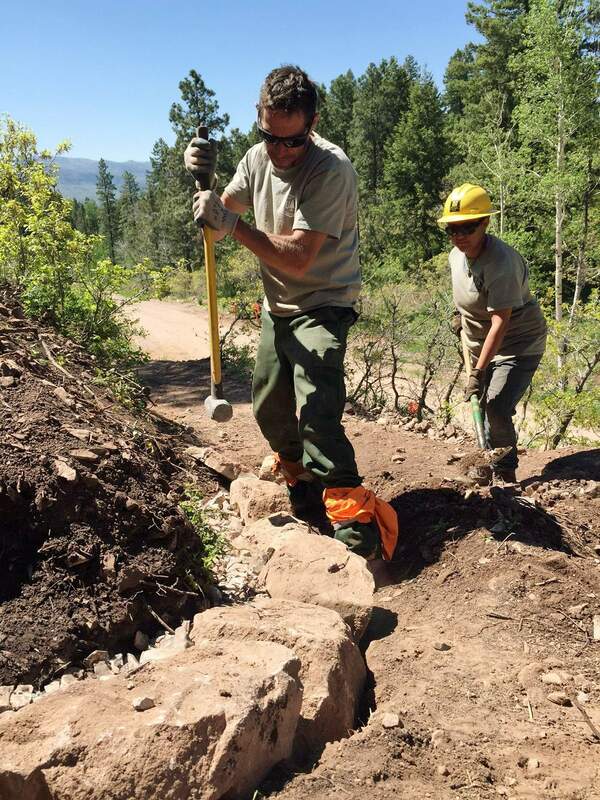 Tim Foulkes, Columbine District trails crew leader, finalizes work on the lower switchback for the Haviland View Trail reroute in 2015 with Shandiin Nez, Southwest Conservation Corps crew leader. The Rocky Mountain Region of the U.S. Forest Service announced today the availability of more than 900 temporary jobs for the 2018 field season throughout national forests and grasslands in Colorado, Kansas, Nebraska, South Dakota and Wyoming. Temporary jobs are available in a variety of occupations such as fire, trails, forestry, engineering, wildlife, recreation, fisheries, archaeology and administrative support. Dec. 15-21: Wildland fire jobs and other early season temporary jobs. Jan. 26-Feb. 1: Recreation, fisheries, forestry, engineering, and other jobs. Temporary job opportunities are searchable online at www.fs.usda.gov/main/r2/jobs. Job-seekers can apply through USAJOBS during the applicable time frames at www.usajobs.gov. Temporary and permanent job opportunities can also be found online at: https://fsoutreach.gdcii.com/Outreach.